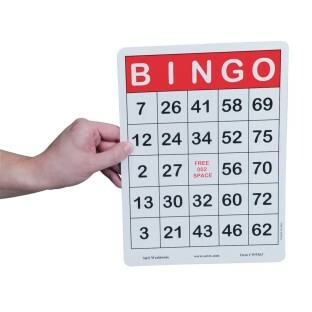 100 bingo cards with 5/8"H numbers. Oversized 8-1/4" x 11-1/4" cards. Coating makes them water and spill resistant. 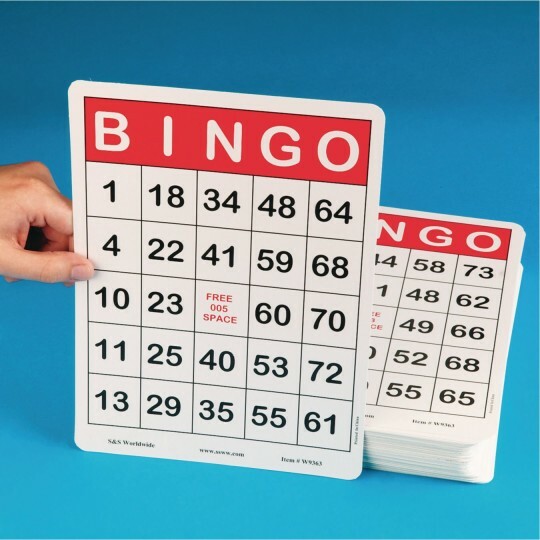 Set of 100 bingo cards feature large, easy-to-read 5/8"H numbers printed on thick and durable 8-1/4" x 11-1/4" cards coated on both sides. 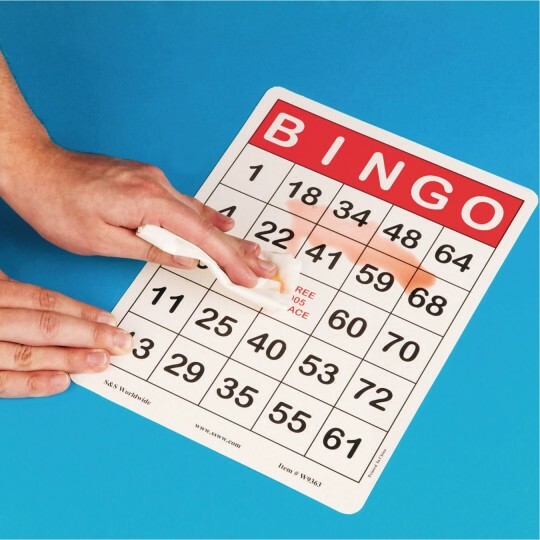 The coating makes the cards water and spill resistant, similar to laminated bingo cards, plus it allows them to be used with write on/wipe off markers. Works great with our Stacking 3-D Bingo Chips (W9473). To mark your squares on the cards, we recommend our GA2048 Bingo/Poker Chips, 17528 Quiet Bingo Chips or W9473 3D Bingo Chips. The cards also work with some write-on, wipe-off markers. If using markers please test first. Note: There are no duplicate cards within the set of 100, but each set has the same 100 cards. This is great for my visual challenge residents! Thank-you! This is great for my visual challenge residents! Thank-you S S for providing quality of life to people! Bought these cards for a senior center and they loved them. Easy to see and can reuse them. 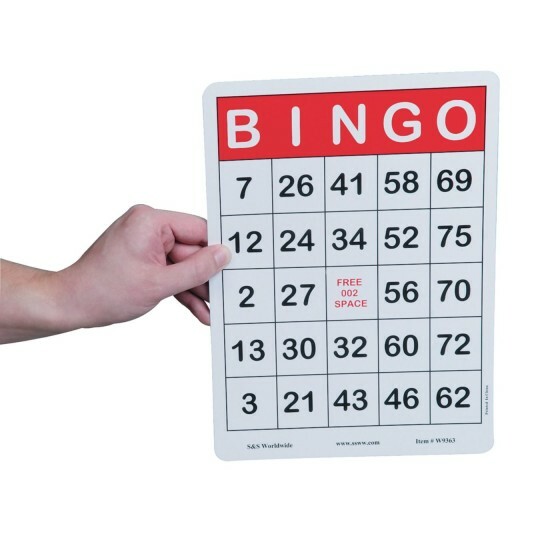 Jumbo Bingo Cards are AWESOME! Great for small hands! Large cards help the little ones keep up with the game.